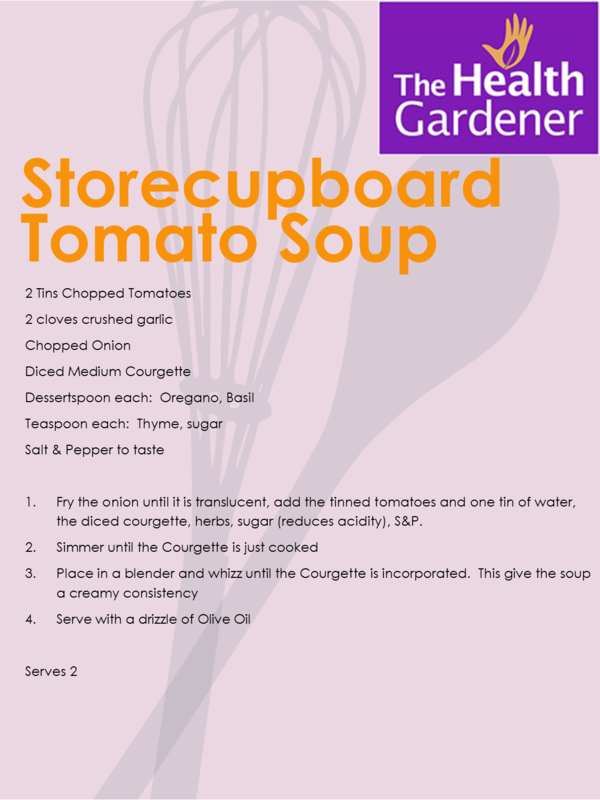 Following on from my post about storecupboard ingredients here is a quick and simple recipe for Tomato soup. The addition of Courgette makes the soup creamy without having to add any dairy products. Serve with your favourite bread or a follow with a salad topped with beans for added protein and avocado for healthy fats.